We are all guilty of holding on to things that we don’t useor need, for sentimental value. Of course, we all need to hold on to a few pieces (like photo albums), but when it comes to keeping things for nostalgia value, we can all stand to part with most things. It’s time to say goodbye to that old junk that, you have to admit, you just don’t need anymore! It may not seem like junk to you (because it probably isn’t), but these things are just adding to the clutter in your home. There is nothing wrong with having sentimental items, but the problem starts when we find an emotional attachment to everything. Your first pair of shoes as a baby? That can probably go into a box. The outfit that you wore on your first date that doesn’t fit anymore? It can go. This is especially true when you’re replacing larger items in your home, like a BBQ or a fridge. While you may have many great memories with ole smoky the BBQ, having it around just doesn’t make any sense! Especially when you have a new Kamado Joe Classic grill to replace it! From full-service junk removal services to donation and recycling services, there are plenty of companies that can help you purge your home of your sentimental clutter. 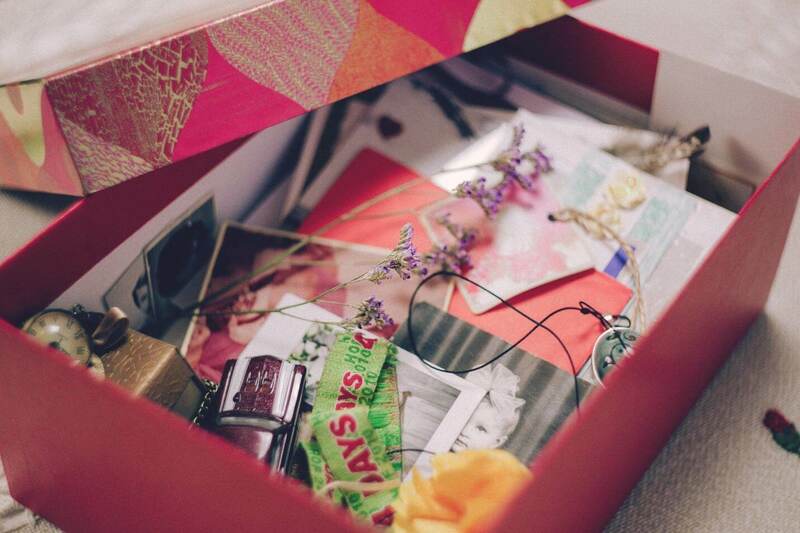 It’s okay to let go of sentimental items—we promise. It doesn’t mean you’re a bad person, and it definitely doesn’t mean you’re going to forget the memories that the items represent. It just means that there’s just not enough room in your home for all of these things. Psych Central reports that in some cases hoarding is less about feeling the need to collect and save items, and more about fear of throwing something away. People often fear that if they get rid of sentimental items, they will forget the memories attached. According to Good Therapy, a study published by the Journal of Marketing showed that taking pictures of sentimental items can make them easier to part with.This wayyou won’t forget these items and what they represent, and they won’t take up space in your home! People often associate stress with cleaning out all their collected items. They don’t know where to start, which prevents them from approaching the emotional clutter altogether. People often feel guilty about throwing out old items. They feel like it’s a betrayal of whoever gifted them the item or whoever the item represents to them. It can be hard to grasp that there is no need to feel guilty in these situations. Letting your guilt enable you to hold on to old, unneeded items prevents you from moving forward. According to Unclutterer, a 2006 report from Psychology Today cautioned that when you hold on to too many reminiscent items, you risk relying on the past for happiness This can result in a struggle to achieve happiness in the present. A large portion of the things that we hold on to, we convince ourselves we will have a use for. We form emotional attachments to items and convince ourselves we will wear that outfit again, or we’ll pass it down to our child etc. Of course, there will be things like your childhood stuffed animal that you may want to hold on to for any future children, but that doesn’t mean you need to hold on to half of your old toys. Don’t let these factors get in the way of decluttering your space. We are all entitled to hold on to sentimental items, but there comes a time where we have to pick and choose what we keep and what we get rid of. Holding on to everything is not an answer, and results in the accumulation of a lot of things that take up too much room and get harder to part with as years pass.